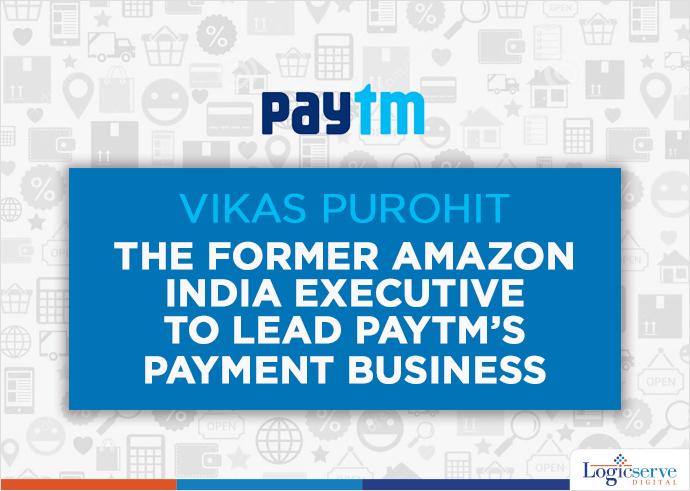 Paytm, the mobile payments and ecommerce platform gets the former Amazon India executive, Vikas Purohit on board to manage its payment business. Purohit is an alumnus of IIM-Banglore and of late, led the fashion and lifestyle category at Amazon India. He has now joined Paytm as Vice President. According to Vijay Shekhar Sharma, Paytm CEO, the key reason of getting Purohit on board was that they needed someone who has both online and offline retail experience. In addition to the 2 years of experience with Amazon, Purohit has another 10 years working experience with companies like Tommy Hilfiger, Madura Garments and Reliance Brands. Once the RBI (Reserve Bank of India) gives the operational clearances, Purohit will take care of the expansion activities of Paytm’s offline payment bank business through branches and agents. In the month of August, RBI approved payment bank licenses to 42 applicants which included Reliance Industries, Vodafone, Bharti Airtel and Paytm as well. Weekend Digital Media Round-up: Google’s Poynter partnership, Twitter’s advertising transparency, Whatsapp’s Group Voice & Video Calls and more.. Weekend Digital Media Round-up: Google’s enhancements for ads, Facebook’s new in-app 360 photos, LinkedIn’s native videos for all users and more..